Gillian Arnold is an artist and surface pattern designer. Her work is composed from plant life found growing wild around the UK, using a unique monoprint process she has developed over the past 20 years. 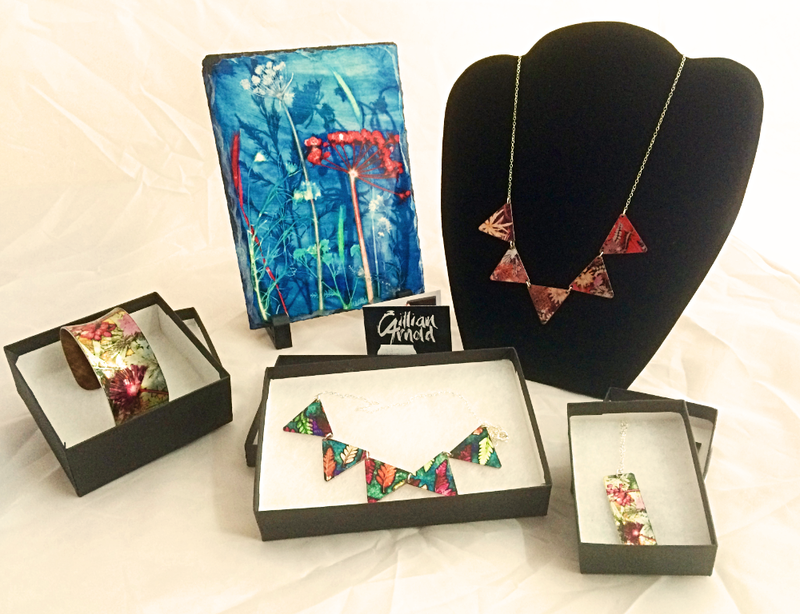 These compositions adorn her range of artwork, including jewellery and homewares. We stock a fine selection of her jewellery, as well as some of her beautiful slate plaques. Only part of the range is pictured here. Please email us or call for further information.